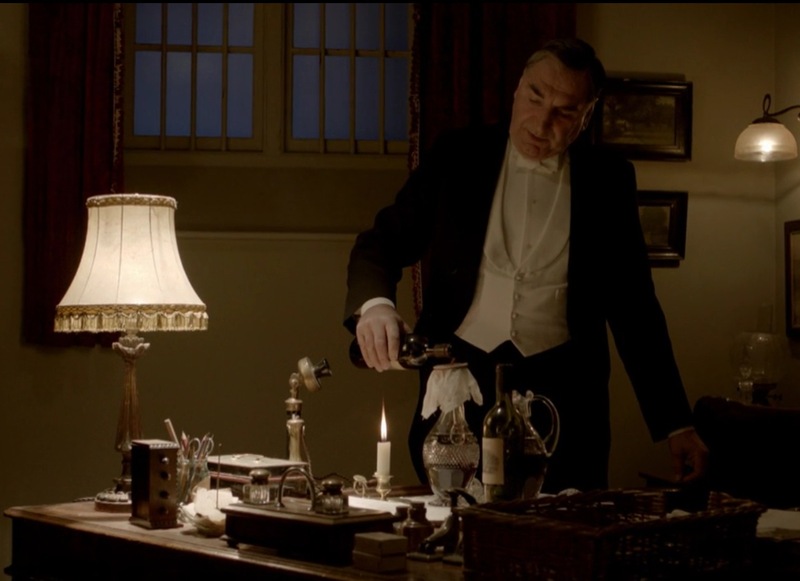 Even though a ton of wines are served at any Downton dinner, “they don’t drink much of any of it” as Anna (horrifyingly) notes. Nonetheless, Wines That Rock is making a Downton Abbey wine line with Dulong Grands Vins de Bordeaux. Two blends, a Bordeaux Claret and a Bordeaux Blanc, will be reminiscent of the Bordeaux wines imported by the British aristocracy in the early 1900s and sold by the bottles and as a gift set. “Dulong has been in the same family for five generations and has over 130 years of experience, so these are wines the Crawley family would have been proud to serve at Downton,” said Bill Zysblat, co-owner of Wines That Rock. Red grapes in Bordeaux are Cabernet Sauvignon, Cabernet Franc, Merlot, Petit Verdot, Malbec, and the whites are made from Sauvignon Blanc and Semillon. I read a very interesting article about drinking in the Edwardian/Downton era on wine-searcher.com, where London wine merchant Simon Berry said that back then people drank Champagne throughout the meal and liqueurs earlier on in the dinner. Drinking wine before dinner is a modern drink thing, as we even see in Mad Men where everyone’s on the cocktails all day long (and Don even throughout dinner). Similarly, the Crawleys are usually sherrying it up both pre- and post-meal, with a little port busted out too, but never wine. Coincidentally, they also just announced that Paul Giamatti (of Sideways fame) is joining the cast next season. Can not wait for him to drop the F-bomb when that Merlot-based Bordeaux red is served! Grapefriend Carson will keel over. Tags: bordeaux, cabernet franc, cabernet sauvignon, downton abbey, malbec, merlot, petit verdot, sauvignon blanc, semillon, wine. Bookmark the permalink. Drinking wine before the meal now is called ” Aperitif ” . 😉 . There are lot of people who are still drinking cocktails or , worse , tea or fresh fruits juice during the meals ! !SHAME !! Love Downton Abbey! One of the BEST shows on TV (and of course, I also watch Mad Men! ).